A NEW MOVIE EVERY DAY NOW! 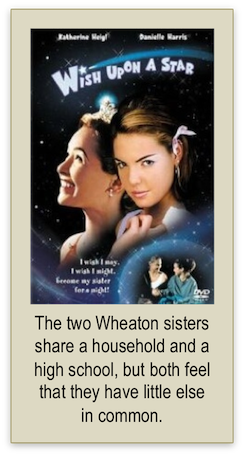 A Disney youth movie for any ages to enjoy! Jason Biggs, Michael Weston and Audra Blaser are sure to get you burst with laughter! Программа канала Quantum TV сформирована из художественных фильмов на английском языке, а также других материалов, которые специально выбраны для практики Вашего понимания языка на слух. Hе пытайтесь понять каждое слово в художественных фильмах. Помните, что понимание общего сюжета и получение удовольствия от просмотра - Bаша главная цель. Все права на транслируемые материалы принадлежат их авторам. Wedding Daze is a 2006 comedy movie (also known as The Pleasure of Your Company and The Next Girl I See) is a 2006 romantic comedy movie, written and directed by Michael Ian Black. It stars Jason Biggs and Isla Fisher. Plot: Against the advice of his best friend Ted (Michael Weston), Anderson (Jason Biggs) proposes to his girlfriend, Vanessa (Audra Blaser), publicly whilst dressed in a cupid costume. The shock of the proposal leads to her instantaneous death. Utterly devastated and distraught, Anderson quits his job and goes into mourning. 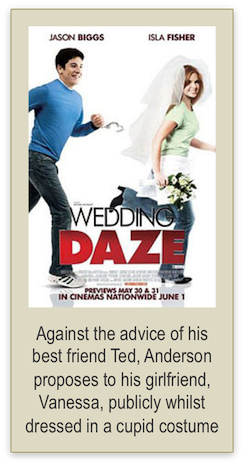 Anderson is still obsessed with his perfect (and dead) former girlfriend and to help him move on, Ted persuades him to give romance one more try. To placate his friend, Anderson agrees. Right after, waitress Katie (Isla Fisher) comes over. On a whim, Anderson asks Katie to marry him, and to his utter astonishment, she accepts his proposal. I Don't Know How She Does It is a 2011 American comedy film based on Allison Pearson's novel of the same name. The film stars Sarah Jessica Parker, Pierce Brosnan, and Greg Kinnear. Plot: By day, Kate Reddy (Sarah Jessica Parker) works for a Boston-based financial management firm; by night, she's a devoted mother to two adoring children and the happily married wife of out-of-work architect Richard (Greg Kinnear). Though balancing those two worlds has its fair share of challenges, Kate generally manages to come out on top thanks to the support of her best friend, Allison (Christina Hendricks), who's had plenty of experience balancing kids and a career. Meanwhile, on the other end of the spectrum, Kate's associate assistant, Momo (Olivia Munn), lives for her work and is afraid of settling down. 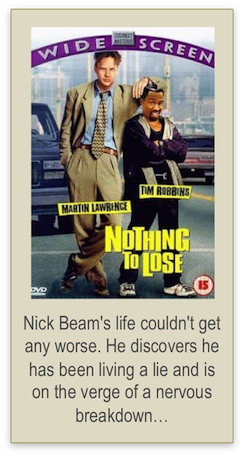 Just when Kate lands a lucrative new account that will see her traveling across the country on a regular basis, however, her new business associate Jack (Pierce Brosnan) makes advances on her, and Richard receives a job offer he can't turn down. Though it looks as if Kate and Richard couldn't possibly take on any more responsibility, the demands of modern living ensure they'll never have a dull moment, even if they try. While You Were Sleeping is a 1995 romantic comedy film directed by Jon Turteltaub and written by Daniel G. Sullivan and Frederic Lebow. It stars Sandra Bullock as Lucy, a Chicago Transit Authority token collector and Bill Pullman as Jack, the brother of a man whose life she saves, along with Peter Gallagher as Peter, the man who is saved, and Peter Boyle, Glynis Johns, and Jack Warden as members of Peter's family. Ernest Saves Christmas is a 1988 comedy film directed by John R. Cherry III and starring Jim Varney. It is the third film to feature the character Ernest P. Worrell, and chronicles Ernest's attempt to find a replacement for an aging Santa Claus. Plot: A man who claims to be Santa Claus (Douglas Seale) arrives at the Orlando International Airport on December 23. Ernest P. Worrell (Jim Varney) is working as a taxi driver. He takes a passenger to the airport, but speeds and the passenger falls out of the taxi. Ernest later picks up Santa Claus, who tells Ernest that he is on his way to inform a local celebrity named Joe Carruthers (Oliver Clark) that he has been chosen to be the new Santa Claus. Joe hosts a children's program named Uncle Joey's Treehouse in the Orlando area similar to Mister Rogers' Neighborhood with emphasis on manners and integrity with the catchphrase "They never get old. They always stay new. Those three little words, Please and Thank You.". While they are driving, a runaway teenage girl (Noelle Parker) calling herself Harmony Starr joins Ernest and Santa in the cab. When they get to their destination, Santa possesses no legal currency (only play money), so in his giving Christmas spirit, Ernest lets him ride for free. The decision gets Ernest fired from his job. Back at the taxi garage, Ernest discovers that Santa left his magic sack behind in the cab, and Ernest begins a quest to find the old man and return it to him. Santa arrives at the Orlando Children's Museum to talk to Joe, but is interrupted and rebuffed by Joe's agent Marty Brock. Marty misunderstands Santa's name, thinking he said "Mr. Santos," and continues to call him by that name, even when Santa tells him his real name. Santa begins to worry as he then discovers he lost his sack, and becomes more discouraged as he realizes he is becoming forgetful in his old age (he's 151 years old, indicating he was born in 1837). Joe does not believe Santa's story and Marty has Santa arrested. Meanwhile, Ernest goes over to his friend Vern's house to put up a Christmas tree, much to Vern's distress (as with the original commercials that first introduced Ernest, the audience never sees Vern's face and only his point of view). The Miracle on 34th Street is a 1947 Christmas film written by George Seaton from a story by Valentine Davies, directed by George Seaton and starring Maureen O'Hara, John Payne, Natalie Wood and Edmund Gwenn. The story takes place between Thanksgiving Day and Christmas Day in New York City, and focuses on the impact of a department store Santa Claus who claims to be the real Santa. The film has become a perennial Christmas favorite. The film won Academy Awards for Best Actor in a Supporting Role (Edmund Gwenn), Best Writing, Original Story (Valentine Davies) and Best Writing, Screenplay. It was also nominated for Best Picture, losing to Gentleman's Agreement. Davies also penned a short novella version of the tale, which was published by Harcourt Brace simultaneously with the film's release.. Plot: Kris Kringle is indignant to find that the person assigned to play Santa in the annual Macy's Thanksgiving Day Parade (Percy Helton) is intoxicated. When he complains to event director Doris Walker (Maureen O'Hara), she persuades Kris to take his place. He does such a fine job that he is hired as the Santa for Macy's flagship New York City store on 34th Street. Ignoring instructions to steer parents to buy from Macy's, Kris directs one shopper (Thelma Ritter) to another store for a toy that Macy's does not have. She is so impressed, she tells Julian Shellhammer (Philip Tonge), head of the toy department, that she will become a loyal customer. Kris later informs another mother that archrival Gimbels has better skates. Fred Gailey (John Payne), an attorney and Doris's neighbor, is babysitting the young divorcee's six-year-old daughter Susan (Natalie Wood) and takes her to see Kris. Doris raised her to not believe in fairy tales, but her lack of faith is shaken when she sees Kris conversing in Dutch with an adopted girl who does not know English. Doris asks Kris to tell Susan that he is not really Santa Claus, but Kris insists he is. Doris decides to fire him, worried that he is delusional and might harm someone. However, Kris has generated so much good publicity and goodwill for Macy's that a delighted R. H. Macy (Harry Antrim) promises Doris and Julian generous bonuses. To alleviate Doris's misgivings, Julian has Granville Sawyer (Porter Hall) give Kris a "psychological evaluation". Kris easily passes, but antagonizes Sawyer by questioning Sawyer's own mental health. The store expands on the marketing concept. Anxious to avoid looking greedy by comparison, Gimbels implements the same referral policy throughout its entire chain, forcing Macy's and other stores to escalate in kind. Eventually, Kris accomplishes the impossible: he reconciles bitter rivals Mr. Macy and Mr. Gimbel (Herbert Heyes). Pierce (James Seay), the doctor at Kris's nursing home, assures Doris and Julian that Kris is harmless. Kris makes a deal with Fred Р he will work on Susan's cynicism while Fred does the same with Doris, disillusioned by her failed marriage. When Susan reveals her wish for a house, Kris reluctantly promises her that he will do his best. Kris learns that Sawyer has convinced impressionable young employee Alfred that he is mentally ill simply because he is generous and kind-hearted. Kris confronts Sawyer and raps him on the head with the handle of his cane. Sawyer exaggerates his pain in order to have Kris confined to Bellevue Hospital. Tricked into cooperating, and believing Doris to be part of the deception, a discouraged Kris deliberately fails his mental examination and is recommended for permanent commitment. However, Fred persuades Kris not to give up. To secure his release, Fred gets a formal hearing before New York Supreme Court Judge Henry X. Harper (Gene Lockhart). Ordered by Mr. Macy to get the matter dropped, Sawyer pleads with Fred not to seek publicity. To Sawyer's dismay, Fred thanks him for the idea. Doris quarrels with Fred when he quits his job at a prestigious law firm to defend Kris. Doris calls his resignation an "idealistic binge" over some "lovely intangibles". He replies that one day she might discover that "intangibles" are the only worthwhile things. At the hearing, District Attorney Thomas Mara (Jerome Cowan) gets Kris to assert that he is Santa Claus and rests his case, believing he has prima facie proven his point. Fred argues that Kris is not insane because he actually is Santa Claus. Mara requests the judge rule that Santa Claus does not exist. In private, Harper's political adviser, Charlie Halloran (William Frawley), warns him that doing so would be disastrous for his upcoming reelection bid. The judge buys time by deciding to hear evidence before ruling. Fred calls Mr. Macy as a witness. When Mara asks if he really believes Kris to be Santa Claus, Macy starts to equivocate, but when pressed, states, "I do!" Afterward, Macy fires Sawyer. Fred then calls Mara's own young son, who testifies that his father told him that Santa was real. Outmaneuvered, Mara concedes the point. Mara then demands that Fred prove that Kris is "the one and only" Santa Claus on the basis of some competent authority. While Fred searches frantically, Susan, by now a firm believer in Kris, writes him a letter to cheer him up, which Doris also signs. When a mail sorter (Jack Albertson) sees Susan's letter, he realizes that the post office could clear out the many letters to Santa taking up space in its dead letter office by delivering them to Kris. Fred presents Judge Harper with three letters addressed to "Santa Claus", and asserts that by delivering them to Kris, the U.S. Post Office is acknowledging that he is the Santa Claus. When Harper demands "further exhibits", he finds himself inundated with 21 full bags. He dismisses the case. Afterwards, Doris invites Kris to dinner, but he reminds her that "It's Christmas Eve!" On Christmas morning, Susan is disillusioned because Kris could not get her what she wanted. Kris gives Fred and Doris a route home that avoids traffic. Along the way, Susan is overjoyed to see the house of her dreams with a "For Sale" sign in the front yard. Fred learns that Doris had encouraged Susan to have faith, and suggests they get married and purchase the house. He then boasts that he must be a great lawyer since he did the impossible. However, when they notice a cane inside that looks just like Kris's, he is less sure.